Just to prove this job of mine isn’t really work I decided to produce a fun video whilst on holiday this year. 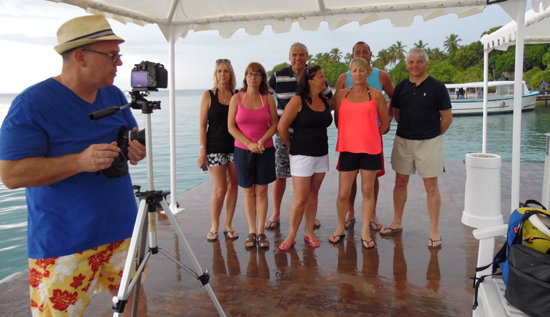 It’s a lip-dub or musical mime, performed by a group of friends and I whilst we vacated on the amazing island resort of Cayo Levantado just off the Samana Bay on the Dominican Republic. I’m not really sure why I’m sharing this with you on my business blog but I’ve had so many questions about how it was done, and why, so maybe this will satisfy everyone. To those that have not seen it here it is, and if you want to know more about how this lip-dub was produced please read on. First of all I need to quickly tell you the back story behind this holiday. When the website Friends Reunited was in its heyday, I signed up and made contact with a whole bunch of old school friends – some dating back to my infant school days. The usual reunions took place; starting off with tens of people turning up but gradually dwindling down to little more than a handful of us who reformed their friendships and have continued to meet up on a monthly basis ever since. 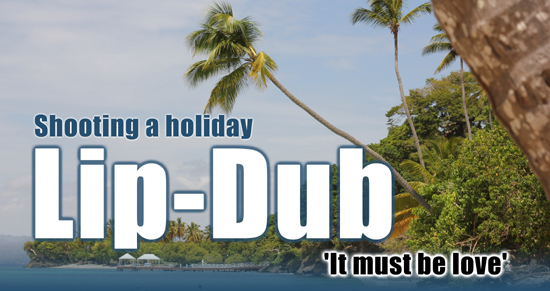 It was on one of these booze-fuelled nights out that we pledged that in the year we reached 50 we would all go on a special holiday together, with partners, to somewhere exotic. We had originally decided on a cruise and started a joint savings account to pay for it. Like many great plans for one reason or another this did not materialise. However, the whole idea was rekindled when one of our group, Karen, announced that she was going to get married to Paul (the couple in the penultimate shot of the film) and some bright spark suggested that maybe we should join them on their honeymoon – and the rest is history. I’m not sure at what point I decided to shoot a film whilst we were away but it was certainly months before we left. This gave me time to think about what I wanted to create and to pick a song that would mean something to everyone involved. This isn’t the first lip-dub I’ve shot but it’s certainly the most detailed and most labour intensive – but I have to admit that I really like doing them. Most of my time is spent producing corporate videos for other people, with a precisely defined objective. This was produced purely for fun and as a memento for all of us of this very special holiday. There’s no doubt that the 7 P’s play their part in shooting a lip-dub (Proper Planning and Preparation Prevents Piss Poor Performance). This doesn’t only mean having a pretty good idea about what you are going to film and making sure you have the kit to do it, but also making sure that everyone involved knows what’s expected of them. I’d put together a rough shot list and shared this with the group. I knew I wasn’t going to stick to this religiously but my aim was to make sure they understood what kind of commitment was going to be involved. The last thing you’ll need is talent moaning about having you taking them away from their holiday pleasures just to get another shot. I also wanted to make sure they understood that I wanted each of them to perform the entire song as a solo – from start to finish. I knew there was one or two shrinking violets among them but, on the whole, we’re always up for a laugh and I knew none of them would back down from the challenge. I tried to make it fun too – which is also important. By doing this I knew (or hoped) I could cut to at least one good solo performance at any point within the song. Here’s a split screen showing all of our performances – which shows just how good (or bad) some of our individual miming turned out. Please keep in mind, I only gave each of them one chance to do their solo – so keep an eye open for the occasional slip. I also got the entire group to perform the chorus line a few times at a few different locations – plus shot various GVs around the hotel to use as cover shots should I be short at the editing stage. I also asked each of the group to bring a small, heart-shaped prop with them which would be used somewhere within the film. This gave me the chance to give a little purpose to the GVs by placing each persons’ prop within the frame (seen towards the end of the film). The only other props were the inflatable guitar and ukulele, bought from eBay for a couple of quid before we travelled and kindly repaired by the pool attendant when the bass developed a split! I knew these would be needed on the musical break in the middle of the song and primed Steve and Paul that I would need them to give that section of the song a good listen to. This lot was dispersed amongst our main cases and our hand luggage but still kept us within our weight limits. Everything arrived home safely afterwards – except the tripod which was pretty much knackered before it went away but completely so by the end of the shoot having spent some of the time stuck in the sand and sea. I wouldn’t have been without it though as I knew I wouldn’t want shaky hand-held shots – especially on the solos. I also wanted to be in the group shots myself so the camera needed to stand on its own at some point. The tripod was left in our hotel room bin as we checked out and probably occupies landfill space now. Even though I knew this would happen it was still sad as I’d had that tripod since the late 80’s. Maybe a Dominican has picked it up and making good use of it now. 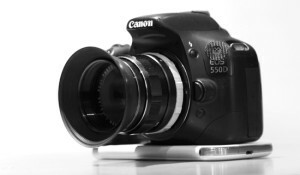 I’d decided on the Canon 550D because I knew it could give me the look and quality I was after and was no bigger than a stills camera that I would take away normally. Also, whilst we wasn’t too bothered about what people were thinking of us as we were filming, a DSLR attracts far less attention than a conventional camera. We were often shooting amongst other guests and didn’t really want to cause them any concerns or raise any questions. The lens selection also had to be considered. The Tokina 11-16mm wide was my go-to lens most of the time, giving me an effective lens length of 17.6mm to 25.6mm on the 550D’s cropped sensor. The 55mm Fujinon was going to give me the equivalent of 88mm – so I didn’t really have a natural field of view lens with me (which is normally around 50mm). In practice, this meant having to position the camera back a bit more than I usually would in order to get my framing right. The 200mm Fujinon was taken just in case I needed a long shot, and was used only once in the film on one of the heart-shaped prop shots (I leave you to guess which one). The variable ND was a must as I like to play with depth of field and the 55mm Fujinon, with its f1.8 aperture, needs a lot of knocking back when run fully open. This lens does get softer at the open end with the ND filter pretty much at its strongest, but I still love it. The lens also would prove useful should I want to shoot anything in low light. I didn’t – but I’d rather have it to hand if the needed. I certainly wasn’t going to take any kind of lighting away with me. I did take the RODE mic with me but it wasn’t used. All the guide audio was recorded via the Canon’s internal mic, which though totally naff under normal circumstances, in this case I knew that I was never going to use the recorded sound on the finished video. The RODE was there just in case I was tempted to shoot anything other than the lip-dub – which I wasn’t. 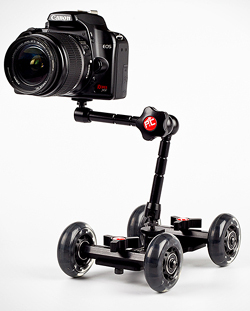 The only bit of kit that might be considered as self-indulgent was the Pico Flex Dolly, but part of the drive to create this lip-dub was to serve my own creative desires. I simple love what a bit of temporal parallax brings to a film and the Pico Flex gave me the chance to have a play with it. There’s only a couple of shots that made it into the final edit in which this was used, but I still love them and wish I could have used it more. All you need with the Pico Flex is a good surface and the hotel had lots of nice smooth tables and marble floors for me to play on. To end up with just over three minutes of usable material meant us shooting a little pretty much every day. I don’t think it took over the holiday for anyone but rather became an entertaining side attraction and topic of conversation. By the end of the holiday everyone seems to be really excited at how it was going to come together and at no time refused to take part or be the object of my amusement. The three set-up scenes in the film (Ricky the bird man, 7-in a bed and Feet in bed) were all thought about beforehand but tweaked a bit on the day. We did try and get all nine of us on the bed at the same time but we couldn’t quite fit. Still, the bed sizes at the hotel were pretty impressive. My only regret here is that I should have shifted focus and rehearsed the 7-in a bed shot a few time. But it was a holiday after all. Whenever the performers were miming or moving to the music I used my Samsung phone to play the music to them – either through its speaker just off camera when the environment wasn’t too noisy or via headphones when it was. I kind of set a precedent with this on my own solo which was self-framed with my wife, Tiffany, left to press the camera’s record button. I think we got away with it, though in an ideal world it would have been better to have the phone and headphones out of shot all the time. The underwater shots were taken on my new toy, the JVC Adixxion camera which is waterproof down to 5m. This was also used on a couple of group shots and I think it stood up pretty well against the DSLR. The pool shots, with everyone doing the heart sign with their hands (in case you’d not worked that out) probably took the longest to do as some of us were having buoyancy problems. I’m not sure if this was down to too much fizzy beer or lunch, but keeping yourself low in the water and posing to the camera seemed to be a struggle. I also used the JVC to shoot the final sunset shot as a stills timelapse. At the end of each day I would review the shots so by the time we got to the last few days I was confident that I had enough in the can – and the edit was starting to take place in my head. I have to admit that I was gagging to cut it by then. The editing took me a couple of days in total using my Edius 6.5 system – including file transfers and working through all the rushes. In total there was about a 90-mins worth of material which is a high shoot-to-edit ratio but much of this was down to overrun on shooting solos and off the cuff shots that, with hindsight, just didn’t work. 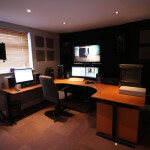 The edit process was quite straight forward, working the solos first and syncing them to the music track. I’d first roughly line-up the music with the ambient sound on those takes where the headphones were not used, and purely by sight on those were the headphones were used. The only tricky parts came on Mick’s solo (shot by the hotel sign) where my phone handshaked with the hotel’s WIFI system causing the music to momentarily pause, and on Paul’s solo where he dropped the phone half way through his performance. This wasn’t any great hardship though. Refining the edits will always have to be carried out as regardless of how well your performer knows the lyrics they will always be a frame or two behind the actual singer. Just slipping the visuals back a notch normally sorts this out for the entire song. You’ve also got to accept that there will be one or two words which are just wrong, a point demonstrated in my own performance in the split screen example above. These were, in the main, hidden within the edit. The hard part of the edit was deciding when enough was enough. Since releasing the video I’ve found myself going back to the rushes and doing an alternate edit but only for my own benefit and nothing that I would release in favour of the first cut. The ugly question of copyright was on my mind at the very early stages of planning this lip-dub. Would I fall foul of YouTube’s harshest treatment of videos with copyright music on them and it gets totally removed? I didn’t want to leave this to chance so made an attempt to contact Labi Siffre direct to see if we could get his blessing on its release. That didn’t prove successful so I tried the other angle of contacting the record company who released the recording I used – namely BMG Chrysalis. This proved more painless than I’d expected. After a quick call they asked me to send them the finished video and back came a reply within the hour… “This is something that would fall under YouTube’s ‘user generated content’ blanket license with the music collection societies. Please go ahead!” It does mean that ads get served on the video but, if this in someway compensates the rights owners, then I’m happy. The video was released on YouTube and Vimeo on the same day (though I know that the Vimeo version might be pulled as they don’t have the same agreements in place as YouTube). Within the first week it had been viewed around 600 times and it’s still rising. I’ve shared it all over the place, and so too have my holiday buddies who have shared it with their friends via Facebook. I’ve also emailed the hotel with it (they do get a fair plug) and included it in a TripAdvisor review of the hotel. 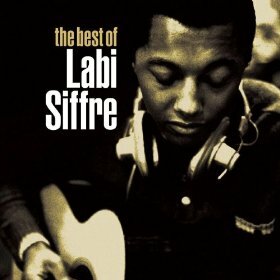 On top of that I’ve also tweeted it to various people who have a connection with either the island, hotel group or Labi Siffre. Video Artisan’s 1st birthday slipped past me unnoticed at the beginning of Feb. The fact that I’ve only just realised is testament to how busy, absorbing and enjoyable my first year back in video film production has been. There’s been some significant milestones that’s for sure but none more so than picking up my first corporate video production commission derived purely from my own marketing efforts. Having been into fishing in my youth part of the satisfaction comes from knowing you’ve set your bait out attractively enough for the fish to bite. What comes next, the fight to land the fish, was satisfying in other ways. Winning new business has the same stages – you attract, you engage and you land. Another significant milestone was winning an IOV award – funny enough for the film that I produced for Supadance which was the aforementioned first video production commission. 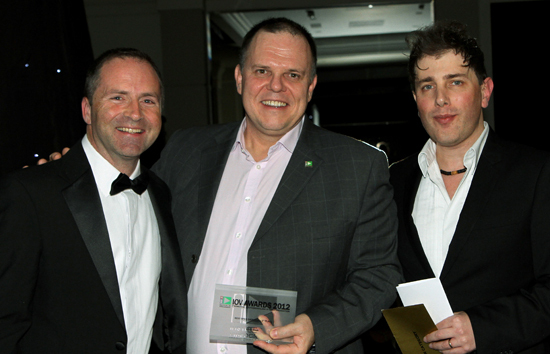 Having been involved in organising these awards in previous years, and witnessing how much the award winners appreciated and benefited from the accolade, to be amongst the winners in my first year of business was amazing. To add even more gloss to this I also picked up second place in the Documentary category for my Bees & Wasps short film. Throughout the year I’ve been shooting a film on the work of Eiger Safety, a rope access company who specialise in installing and testing a whole range of height safety systems. You’ll get a better picture of Eiger Safety, the original brief and the musical short video production from my previous blog here. I’m also working on a longer-form interview based documentary about them at the moment too. To convince the client that this was a good idea I shot a proof-of-concept interview with the MD and roughly cut it together for them. We’re going to shoot this for real soon but the proof version worked well and demonstrated the need. It’s not publicly available, but as you’re interested you can see it here – using the password ‘ginger’. There’s no sign of things slowing up for me at the moment. Right now I’m in the middle of two films – one for a commercial investigation company (Robertson & Co – which is still in the shooting stage) and another for BT Global. The work for BT is ongoing, and so far I’ve been involved in three films for various divisions within BT Global. I’ll be writing a longer blog about this work next week so keep your eyes open. So, all in all a brilliant first year back in video production. I can’t help feeling that I should have done this years ago. My only regret is that I should have put a reminder in my Google calendar to celebrate my first year. Not a bad regret I guess? 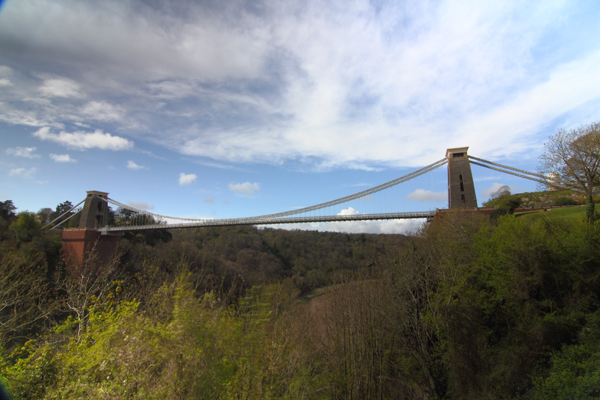 Whilst the weather was kind to us this week for the Eden Project shoot for Eiger Safety it wasn’t the same story for the Clifton Suspension Bridge or Christchurch Cathedral, Oxford. This was a pain – but hey ho, Ben Hur wasn’t shot in a day either! Though far from its busiest time of the year it was interesting to see everything coming to life outdoors at the Eden Project. Most of the filming was on the testing of the man-safe systems on outside roof structures (both metal and “green” roof systems) and I think I got my first slight suntan of the year. We also had to film the systems installed inside of the upper reaches of the main biosphere – which was roasting hot and extremely humid. Climbing up the steps with all the kit is hard enough in those conditions but it got a whole lot more difficult at the top as we had to climb over the safety barrier, latch on, and clamber round the narrow ledges at the top of the rain forest. It took the camera about 20-mins to acclimatise and stop misting up – but I eventually got the shots I needed. The following day we headed off to Bristol but with little hope of getting up on the bridge after having listened to the weather forecast. And as suspected, with occasional showers and a bluster of wind every now and then, the Bridge Master said that the conditions were not good enough. We did however take the opportunity to walk the bridge and talk about the shots I’d be able to get of the guys checking out the latch-way systems that run the complete length of the chains. We also managed to shoot a long establishing shot of the entire span. I have to admit, having stood next to the bridge I’m really glad the decision to scrub came. Though I don’t need to get out on the chains themselves it is still going to be pretty hairy climbing the ladders and filming out of the chain holes and from up on the roof. Conditions are going to have to be near perfect for video production work! With another trip to Clifton needed in a week or so it seemed only logical to scrub our visit to Christchurch Cathedral too. The view from the cathedral roof is supposed to be so breathtaking and having nice weather is going to be a real bonus. I never like to abandon shoot – but at least its given me time to get the first draft of the Supadance video completed. Filming in the Wild Wild West! 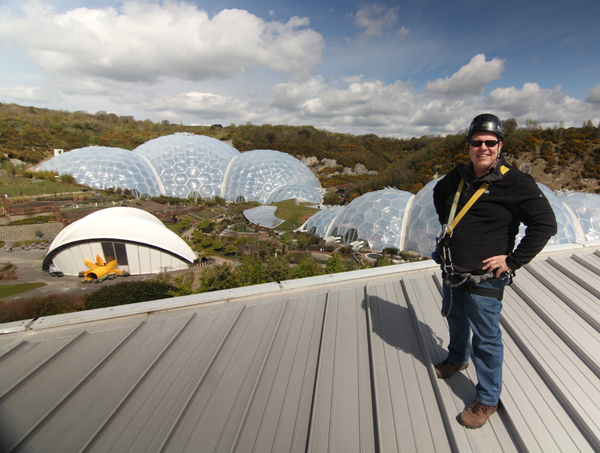 Heading down to the West Country tomorrow for two days filming the Eiger Safety guys at the Eden Project at St Austell in Cornwall. I should get some amazing images of them – and might even get on the ropes myself at some point. Finally its on to Christchurch Cathedral, Oxford to film the guys testing the man-safe systems up on the roof. Its not “all play” and “no work” you know!